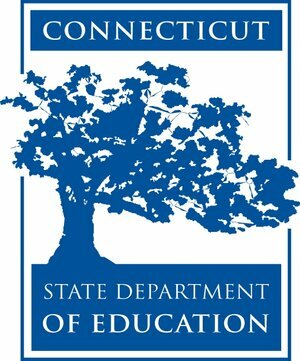 In Connecticut, the CCSS were adopted unanimously in July 2010. Nearly 4 years later, local districts are still striving for successful implementation. In fact, just last week CT Governor Daniel Malloy created a special taskforce to identify recommendations for improving the implementation process. As the controversy surrounding what is considered baseline “knowledge” continues, a group of Greenwich Education Group educators weighed in with their views on 21st century essential skills—among them critical thinking, common sense, the ability to question, self-advocacy, self-worth and self-esteem. “Students should be able to apply common sense in a classroom setting” believes Dr. John Henderson, Head of the Mathematics and Science Departments for the GEG Schools. In addition, Henderson feels that students should “demonstrate logical reasoning through complex problem solving using discussion, word problems, and hands-on activity-based learning as a metric.” A physicist by training, Henderson encounters many students who can memorize facts and formulas, but can’t step back and take a big-picture, common-sense view of the situation. Without the ability to contextualize the topic, students will struggle to progress from being expert test-takers to being true scientific innovators. Samantha Steele, an English/Elementary Educator for GEG, feels schools should also focus on social and behavioral skills. “At the lower grades, homework completion, using self-advocacy skills with friends and teachers, following directions and classroom responsibility” are essential. “The one standard I would like to see added across all subject is formulating questions,” proposed Katherine Henderson, Mathematics and Latin Educator at the GEG Schools. Students are often taught that school is about answering questions, but the ability to ask insightful questions is the cornerstone of disciplinary understanding. In her math classes, Henderson emphasizes logic, mathematical representation, and problem-solving strategies—all elements that she believes could be standardized as well. Finally, Henderson suggests that cross-curricular connections (e.g., between science and math) could be codified in the standards to promote a deeper level of comprehension. Ferber further explains, “a core skill is understanding the point of view and sources of information on the Internet, and its implication for the objectivity and reliability of the material, and so the implications for our own interpretation and application of what we read.” The teaching of knowledge doesn’t stop at content, but now must include the questioning of the source of such knowledge. The rollout of the CCSS has raised the question of what knowledge students must be taught, but the debate that has ensued has also highlighted that there is no unanimity of view about what are the truly necessary skills. Is it a knowledge of facts? Skills in questioning and a sense of skepticism? Or is it important to have social skills grounded in a sense of self-worth? The debate is that much more difficult because all of these are attributes any parent would want to see their child possess. The truth is that finding common standards for children who are all unique in their own rights is probably something that will forever elicit debate among educators, politicians and parents.